The gist of last week’s DMC newsletter, this week’s newsletter, and next week’s newsletter is an examination of the unique qualities of the Millennial generation and how those qualities compare to prior generations. The point is to understand the nuances of this new generation of men and women – because they are, ultimately, the future of our Order, and of your Lodge. If you wish to increase the membership of your Lodge, and continue your Lodge into the future, you really need to understand these young men and women. Think I’m joking? Well, chew on this statistic for a moment: Recent estimates have found the Millennial generation numbers 66 million persons in the United States today. Fortune Magazine has predicted that by 2025 (a mere six years from today) Millennials will comprise 75% of the American workforce. 1. Millennials face remarkable pressure in society and in the workplace. The traditional American Dream of owning a home seems a long way off to the members of this generation. At work, they have to cope with longer work hours, corporate downsizing, lack of job security, work overload, global competition, and job ambiguity. These pressures naturally create anxiety and even depression among many members of this generation. 2. Millenials often feel disconnected and powerless in society today. They take a more passive role in life, and want to be pushed and encouraged by their families, bosses and mentors. They appreciate continual feedback. 3. Rather than conforming to societal norms, Millennials prefer to disrupt the status quo. It doesn’t matter to them that things have always been done a certain way. They prefer to try new ways to reach their goals. 4. Millennials care more about the planet and people, and less about profits. They strive for intellectual challenges, and want to make the world a better place, both locally and globally. 5. They have access to a huge amount of information, and greater technology which is second nature to them. They dislike slowness and desire instant feedback. So, how do we use this information in our recruitment and membership efforts? Tune in to the DMC newsletter next week, where we take the information we have gleaned and apply it to our fraternity. Bottom line: ls it possible to recruit young men and women in the 19-39 age range into Odd Fellowship? There are, essentially, five generations living in America today. We have the “Silent Generation” (sometimes called the “Greatest Generation” or the “Traditionalists”) – born between 1925-1945. There are the “Boomers” – born between 1946-1964. We have “Generation X” – those born between 1965-1980. The “Millennial Generation” – born in the time period 1980-2000. And “Generation Z” – born after 2000. The differences between these generations are profound. And if Lodges in America wish to grow their memberships, they need to have a much better understanding and appreciation of those profound differences. Let’s be frank. 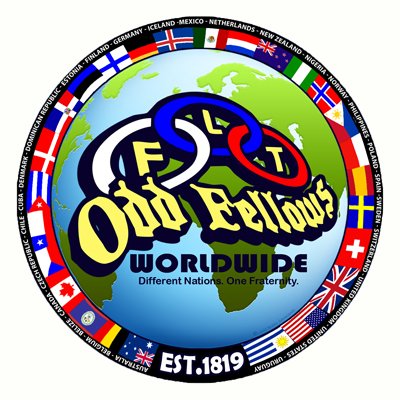 The average Odd Fellows Lodge in America is composed almost exclusively of members of the Silent Generation, with some Boomers in the mix. So, how does a Lodge of Septuagenarians and Octogenarians attract members of these other, younger generations to join? This question is so significant to the future viability of the Order, and so complex, that I will devote the next three DMC articles to its exposition. Let’s first get an understanding of the great distinctions between the generations at the extreme ends of the spectrum. A recent study by the Pew Research Center found 7 significant differences between the Silent Generation and the Millennial Generation. 1. Millenials are much better educated than the Silent Generation. And this difference is most profound among women. Only 9% of women in the Silent Generation had completed at least four years of college while they were young. By comparison, 36% of Millennial women have a bachelor’s degree at the same age. Three in ten Millennial men (29%) have a bachelor’s degree, compared with 15% in the Silent Generation. The Millennials are a highly educated cohort. 2. A higher percentage of Millennial women have a bachelor’s degree than their male counterparts. This is just the opposite of the Silent Generation. Among Millennials, women are 7% more likely than men to have finished at least a bachelor’s degree. In the days when members of the Silent Generation were young, women were 6% less likely than men to have finished at least four years of college education. 3. Young women today are far more likely to be working as compared with women in the Silent Generation. When women in the Silent Generation were young in the mid-60’s, 58% were not participating in the work force, and only 40% were employed. Today, 71% of young Millennial women are employed and only 26% are not in the labor force. 4. In terms of marriage, Millenials are three times more likely to have never married compared to the Silent Generation when they were young. Among Millenials, 57% have never married. But when members of the Silent Generation were of the same age as Millennials are now, only 17% had never married. 5. It is much more likely that members of the Millennial Generation will be racial or ethnic minorities than were the members of the Silent Generation. It’s no secret that 50 years ago, America was less racially and ethnically diverse than it is today. The change is the result, primarily, of large-scale immigration, primarily from Asia and Latin America, and the rise of racial intermarriage. Among the Silent Generation, 84% were non-Hispanic whites, compared to Millennials who are 56% non-Hispanic whites. The share who are Hispanic is 21% among Millenials compared to just 4% in the Silent Generation. 6. Young Silent Generation men were more than 10 times more likely to be veterans than Millennial men are today. Only 4% of the Millennial men are veterans compared with 47% of Silent Generation men. 7. In 1965 when members of the Silent Generation were young, 67% (two-thirds) lived in a metropolitan area. Today, however, a whooping 88% of Millennials live in metropolitan areas. 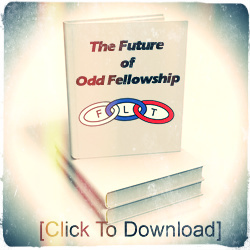 Armed with this basic information, how should the Lodge address the Millennial Generation and encourage those young men and women (in the age range of 19 to 39) to consider Odd Fellowship? Tune in to the next two DMC newsletters for some answers! All of us understand that change is hard. Maintaining the status quo is much easier, and for most people is much more comfortable. Applying these two “truths” to the Independent Order of Odd Fellows, we crash headlong into the biggest single issue we face as an Order: The steady decline in our membership. And make no mistake about it. Our membership has been declining for over three generations, and continues to decline today notwithstanding the fact that a few Lodges have bucked this trend and are showing steady increases in membership. The overall statistics for Odd Fellows, Rebekahs, Encampment, Ladies Encampment Auxiliary, Patriarchs Militant, Ladies Auxiliary Patriarchs Militant do not lie – they show decline after decline in membership, year after year. It does not take a rocket scientist to predict that we shall see branches diminish and fade away starting with the smallest groups – Ladies Encampment Auxiliary, LAPM, and so on. Obviously, this trend – started decades ago – is not sustainable. It will lead to the eventually collapse of our beloved Order. Small pockets of successful Lodges will, of course, remain but Grand Lodges and SGL, itself, will become mere shells. Don’t believe it? There are plenty of other fraternal orders that have experienced this very thing over the years. 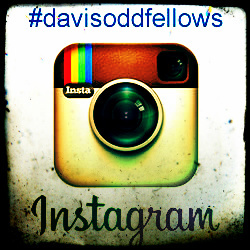 Odd Fellowship is neither exempt nor immune. Can this be avoided? Of course it can. However, continuing on the same path we have traveled for the past three generations will inevitably only lead to the same result: declines in membership. To believe that if one does the same thing over and over again will lead to a different result is nothing short of insanity. To change the trajectory of our Order we must change the way we do business. Only this can stop the fall and will lead to membership gains. Sad to say, however, the biggest single impediment to change is SGL. It is SGL that controls the ritual and controls the Code of General Laws. Change must come at that level, yet the structure of SGL is constructed to resist change, and the membership of SGL changes only incrementally. It is hardly representative of the majority of members of our Order as each jurisdiction receives essentially the same number of representatives. That is, California with over 4,000 Odd Fellows has essentially the same number of representatives as a jurisdiction with less than 400 members. Key committees at SGL – to which virtually all legislation is funneled – include committees Legislation, Ritualistic, and Patriarchal Degrees. Membership on these committees rarely changes, and the members of these committees, for the most part, are advanced in years. Any proposed changes to the ritual and Code (other than stylistic) are deferred or delayed or simply killed, in committee. Some proposals may not even reach a committee by the decision of the Sovereign Grand Master. This has happened to resolutions submitted by California. Proposals to modernize the ritual or the Code face a rocky future in committees dominated by long-time members who frown upon any changes. Apparently, staying the course is more important than confronting the declines in membership – even though those declines threaten the very life of this Order. In fact, SGL doesn’t even want us to publicly talk about the diminishing membership. When one of our Grand Representatives from California ran for the Office of Sovereign Grand Warden he was told that he should not talk about membership declines in his speech to SGL because “anyone who talks about membership will lose.” This courageous representative, who values truth, chose to talk about that very subject anyway. And he did lose. When the former Chairman of the SGL Membership Committee had the temerity to write an article about the decline in our membership and predicted the imminent demise of our Order unless we changed the way we operate, he was roundly castigated by members of SGL.